Filmmaker DeWitt Sage answers questions about his film F. SCOTT FITZGERALD: WINTER DREAMS. 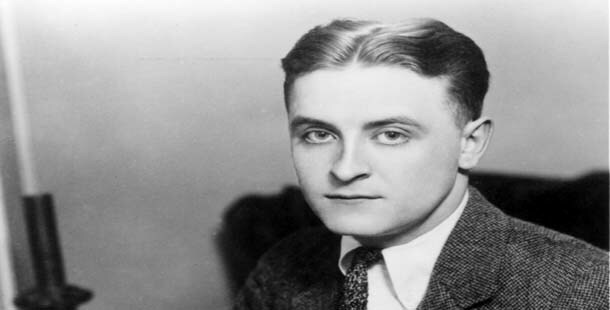 Q: Do you agree with the several end-of-millennium surveys that rank F. Scott Fitzgerald as the most important or one of the most important American writers of the 20th century? DeWitt Sage: No, I personally don’t for the simple reason that I have not read the competition thoroughly enough. Certainly I think that F. Scott is a great writer from two major standpoints. First, he had the talent as a writer and editor of his own writing to make the reader feel the mood, the emotional and physical atmosphere of any place. He could literally make you feel the air of a city, a room, a relationship. That takes enormous talent, in my opinion, and furthermore he had an innate sense of the musicality of language which evokes the setting or the emotional landscape poetically, often visually. Q: Visually? Like a screenplay? DS: Well, he clearly saw scenes … I am talking about his novels now and his more “serious” short stories … meaning those that he did not have to write purely for money. DS: Well, of course the example that springs to mind — I’m old so I should say ‘seeps’ to mind — is neither a short story nor a novel. It is from an essay that we have somehow managed not to use in the film. DS: It’s one of the advantages of having to interview yourself. Q: Why is that? Is that what normally happens after you write, produce and direct a film. You have to sit down and interview yourself? DS: In this case there was no one else available, and also I have the distinct advantage of being completely unemployed. Also, this is documentary film and so frankly there aren’t that many people interested in what the filmmaker has to say. Q: Did that aspect of being periodically unemployed help you to identify with F. Scott Fitzgerald? DS: No. I identified more with his drinking, grandiosity, and malignant insecurity. A few years ago, though, the condition of my own unemployment did inform my response to Susan Lacy’s suggestion that I re-read F. Scott and consider him as a subject for American Masters. Q: Well, had you ever read him in the first place? Q: And what did you think? DS: Two things, really. That Fitzgerald didn’t do women very well and that I really was an incredibly slow reader. Q: Were there any exceptions? DS: Yes. Absolutely. Kathleen Moore in THE LAST TYCOON and also Catherine St. George Brown. DS: Yes. Possibly Daisy in GATSBY, Myrtle in GATSBY, Marion Peters in BABYLON REVISITED. And Cokie Roberts. Q: Who is Catherine St. George Brown? DS: She was a researcher. She no longer exists. Q: Did you enjoy making this movie? Q: Excuse me, but our time is almost up. Could I ask … Do you know Ken Burns? Q: Does Ken Burns interview himself, the way you do? DS: He has interviewed himself … but he was paid to do so. Q: How do you know that if you don’t even know him? DS: It’s just something that real filmmakers know. DS: About Ken? Are you kidding? 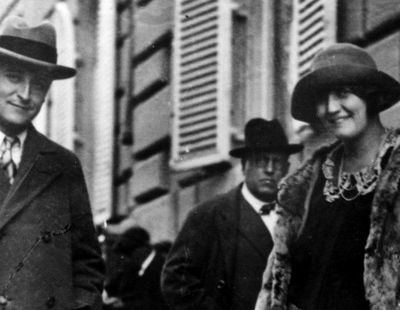 Q: Did F. Scott Fitzgerald resent Ernest Hemingway? DS: I think F. Scott admired Hemingway as a writer and as a kind of macho senior camp counselor. Q: But did he resent him? DS: At times. Yes, definitely. Q: And do you think that either Ernest Hemingway or Ken Burns ever paid F. Scott Fitzgerald or you much heed? DS: It’s a really good question. Could I … The thing is, I’m absolutely positive Ernest knew all about F. Scott Fitzgerald. They had been friends and prolific correspondents for God’s sake. And Ken I’m sure knows about Scott because Scott was a baseball fanatic and because Burns reads, for heaven’s sake. It’s very unlikely that Hemingway saw any of my early films and Scott died two years before I was born. Also, Hemingway never owned a television … certainly never one with a remote. Now, about Ken Burns and … Heed? What is it you really mean by heed? I mean, it’s kind of unlikely that Mr. Burns would not have even heard of me, don’t you think? Frankly, I think it’s kind of rediculous to even … hypothetically even. Come on! He must have at least heard of DeWitt Sage.